Donald Trump’s presidency has been one of the most unconventional presidencies in modern history. A former businessman, with no political background, was able to win the 2016 presidential election despite running against Hillary Clinton who was assumed by most to win in a landslide. Throughout his campaign and presidency, President Trump has made several controversial statements which have caused the media and the public to openly question his character. Despite these concerns about his moral fiber, President Trump enjoys an approval rating of nearly 43% today. The Bucknell Institute of Public Policy wanted to examine the dichotomy between concern over the President’s personal behavior and his policy, as well as if President Trump’s term is boding well for the Republican Party. In a nationally representative survey, conducted by YouGov, the Bucknell Institute of Public Policy asked individuals whether they believed Donald Trump was fundamentally a good person. The survey showed that 6% of Democrats and 70% of Republicans strongly agreed that Donald Trump is a good person. 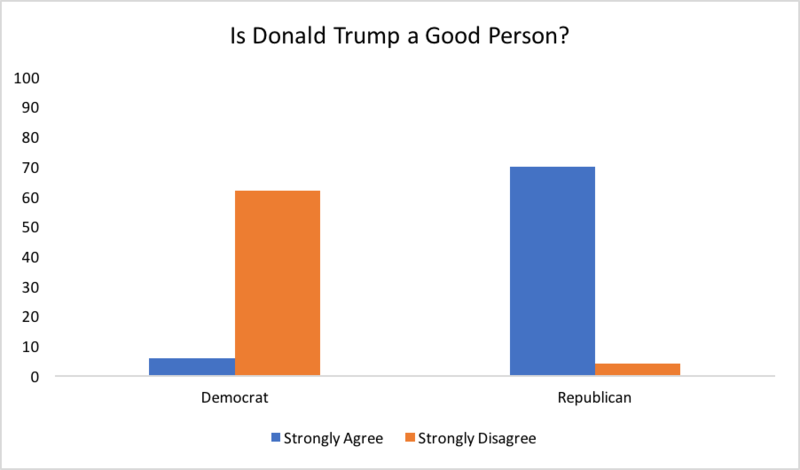 Juxtaposed to these findings, 62% of Democrats and 4% of Republicans strongly disagree with the statement that Donald Trump is a good person. 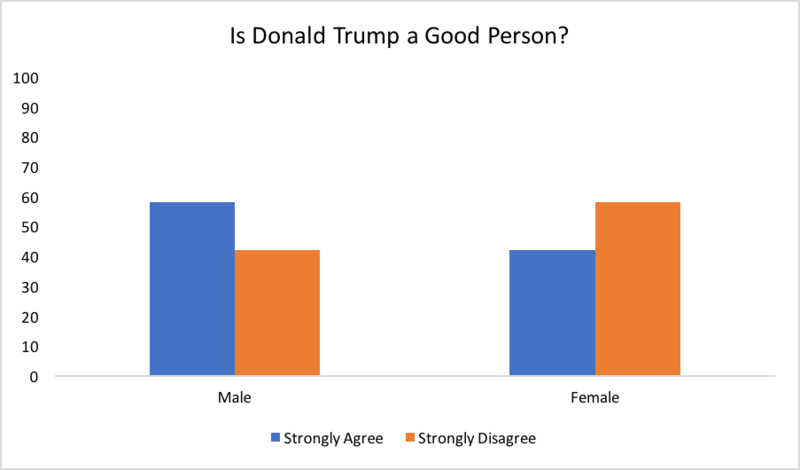 When looked at by gender, the results show that 58% of men and 42% of women strongly agree that Donald Trump is a good person. Additionally, 42% of men and 58% of women strongly disagree with the statement that Donald Trump is a good person. Evidently, there is partisan as well as gendered dispute over the morality of the President of the United States. However, how much does it matter if the President is not a good person, if he is getting the job done? In a nationally representative survey, conducted by YouGov, the Bucknell Institute of Public Policy asked individuals whether they cared about President Trump’s personal behavior if he was getting the job done. 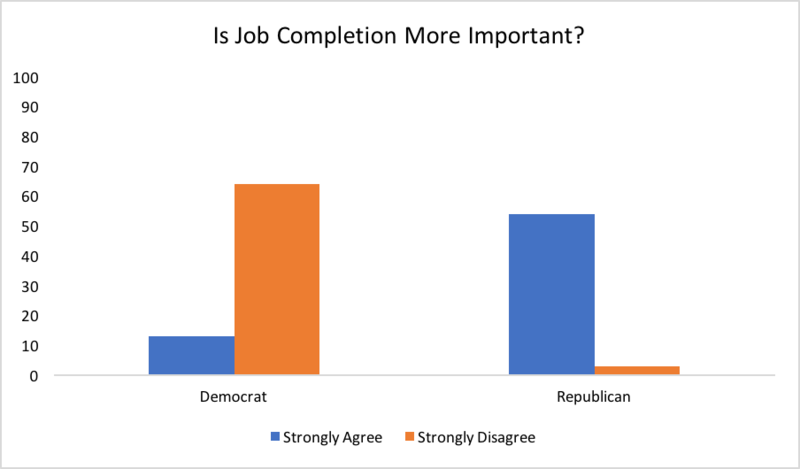 First by partisanship, 13% of Democrats and 54% of Republicans strongly agreed with the statement. On the other hand, 64% of Democrats and 3% of Republicans strongly disagreed with the statement. Donald Trump’s presidency has been marked by continuous discussions over his personal life and policy matters. Because of this, the Bucknell Institute of Public Policy was interested in whether Donald Trump’s presidency has had a favorable influence on the Republican Party. 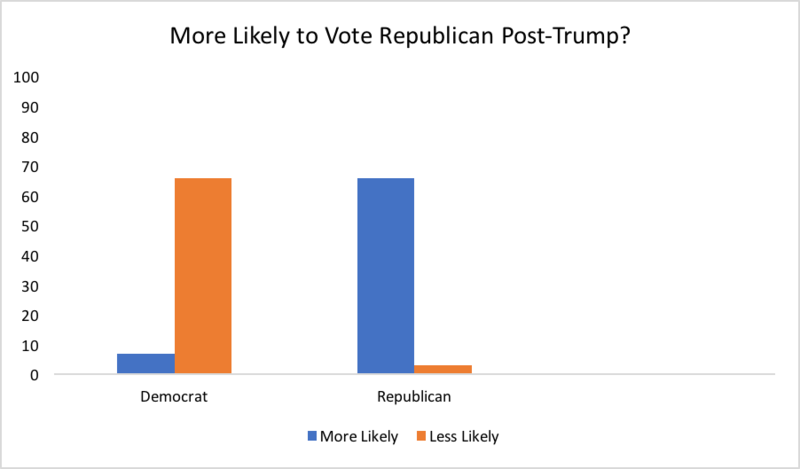 In a nationally representative survey, conducted by YouGov, the Bucknell Institute of Public Policy asked individuals whether the influence of President Trump’s term has made it more or less likely for them to vote Republican in the future. The results showed that 7% of Democrats and 66% of Republicans are more likely to vote Republican following Trump’s term. In juxtaposition, 66% of Democrats and 3% of Republicans are less likely to vote Republican post-Trump. 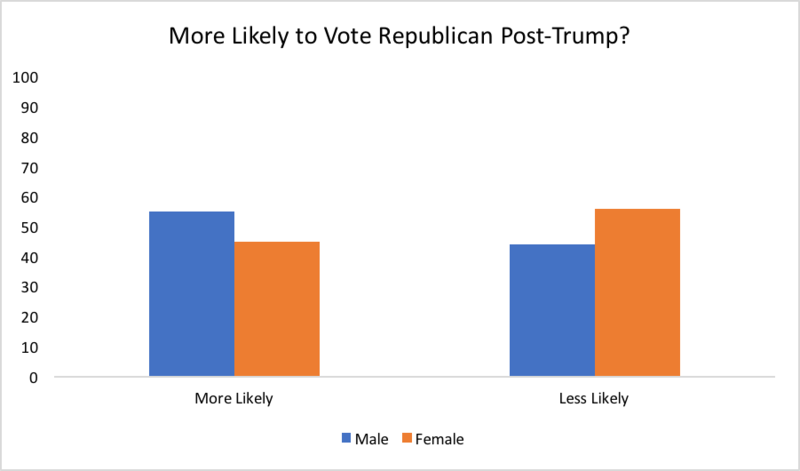 By gender, 55% of men and 45% of women said they were more likely to vote Republican in the future following President Trump’s term. Conversely, 44% of men and 56% of women said they were less likely to vote Republican post-Trump. So what does this all mean? President Trump’s approval rating is answer enough. The nation seems to have moved toward the view of believing the President’s personal life is extremely relevant to his or her competency as a president. 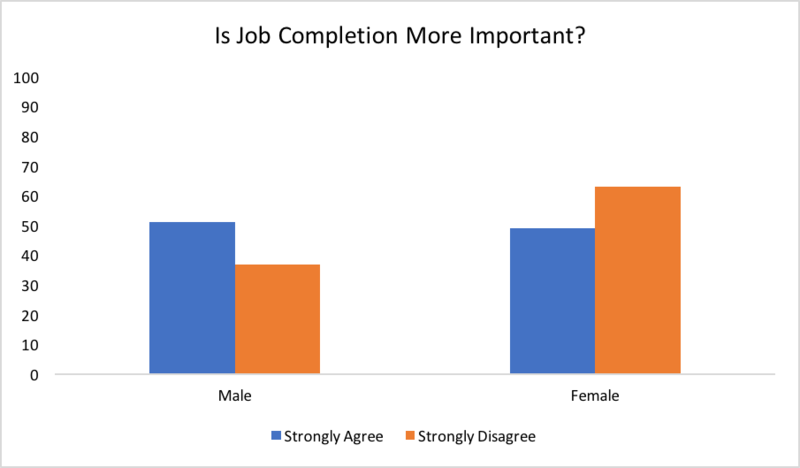 As long as the job is completed, the nation is satisfied. What does this mean for the Republican Party? As seen in the midterm elections, the Republicans lost the House but gained a majority in the Senate. President Trump’s term and presidency has been unconventional, but to some, very attractive and effective.